Ellen Condliffe Lagemann is a Levy Institute Research Professor, Bard College and Distinguished Fellow at the Bard Prison Initiative. She has served as President of the Spencer foundation and Dean of the Graduate School of Education at Harvard University, where she was also the Charles Warren Professor of the History of American Education. Previously she was Professor of History and Education at New York University; Chair of the Department of the Humanities and the Social Sciences and Director of the Center for the Study of American Culture and Education at the School of Education at New York University. Dr. Lagemann is the author or editor of ten books including most recently What is College For? The Public Purpose of Higher Education and An Elusive Science: The Troubling History of Education Research. 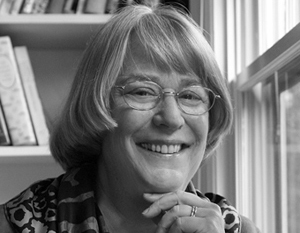 She has been president of the National Academy of Education and of the History of Education Society and is a former trustee of the Russell Sage, Greenwall and Markle Foundations and a former vice-chair of the board of the Center for Advanced Study in the Behavioral and Social Sciences in Stanford, California.